Waterfront communities in the United States each have their own unique connection to marine resources. Whether rural or urban, recreational, commercial or industrialized, these marine resources provide jobs and economic value. A report produced by the NOAA Office for Coastal Management1 shows that nationally, the marine economy directly employs 3.2 million people, and produces $320 billion in goods and services across 42 industries in 6 economic sectors. While these values may seem small compared to the US economy as a whole, our nation’s economy is diverse and includes many “small” but integral parts. Most people, for example, have some sense of the importance of better-known economic activities like crop production, telecommunications, and building construction. In 2015, the ocean economy employed more people than these three sectors combined. The marine economy is not only an important part of the national economy, it is also resilient. It weathered the recession of 2007 to 2009 better than the U.S. coastal economy and total economy as a whole. While the maritime economy is important and resilient, it is also diverse in its use of the marine environment. In addition to the diversity of uses of the marine environment, each sector has differences in the workforces employed within it. Some sectors, such as Tourism and Recreation, employ a high number of people, but those jobs tend to be entry-level or seasonal, leading to a lower wage per employee. Other sectors, such as Offshore Mineral Extraction, do not employ as many people, but those workers earn higher wages. In fact, employees many of the sectors in the marine economy are in highly skilled jobs, and thus earn a wage higher than the national average. The fact that all these activities take place in the same marine environment underscores the complexity and importance of effective use, management, and governance of the oceans and Great Lakes. 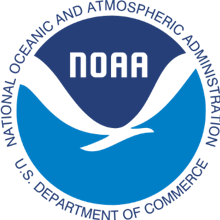 1 National Oceanic and Atmospheric Administration (NOAA). Economics: National Ocean Watch (ENOW) Data. Based on data from the Bureau of Labor Statistics and the Bureau of Economic Analysis. Charleston, SC: NOAA Office for Coastal Management.